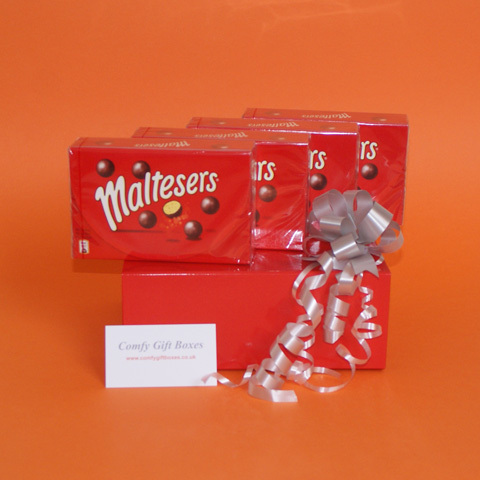 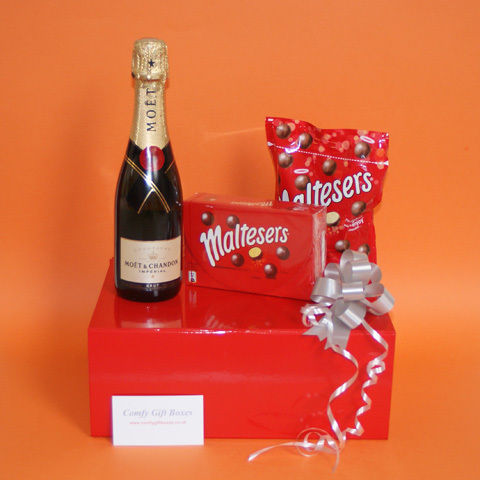 This champagne and Maltesers® chocolate gift is presented in a large gloss red gift box with bright red lining and a magnetic lid. 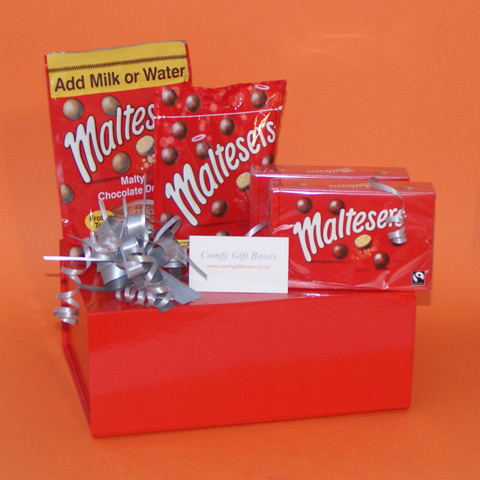 This is lined with red tissue paper, the contents are carefully added then the gift box is wrapped with red ribbon and finished with a silver bow. 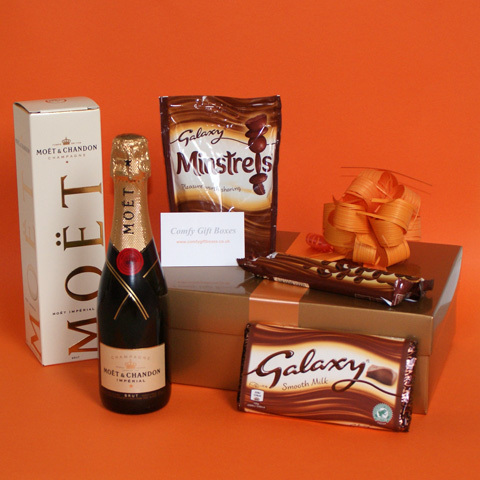 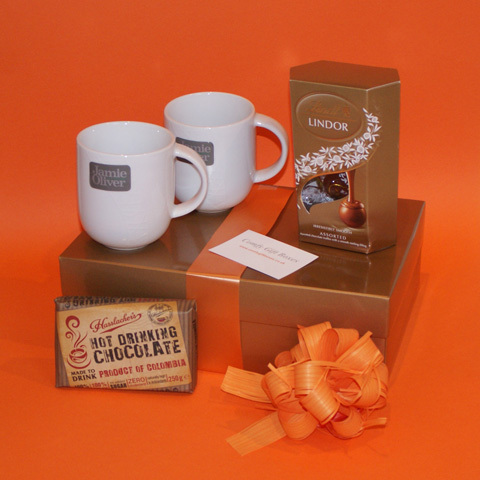 Why not send a Möet & Chandon Champagne gift box with Galaxy® chocolate treats or see our selection of other Maltesers® chocolate gifts.